Our Medical Id Alert Bottle Cap Necklace makes your child enjoy wearing their medical alert id. This medical alery emblem bottle cap is great for all, the cap itself is silver. 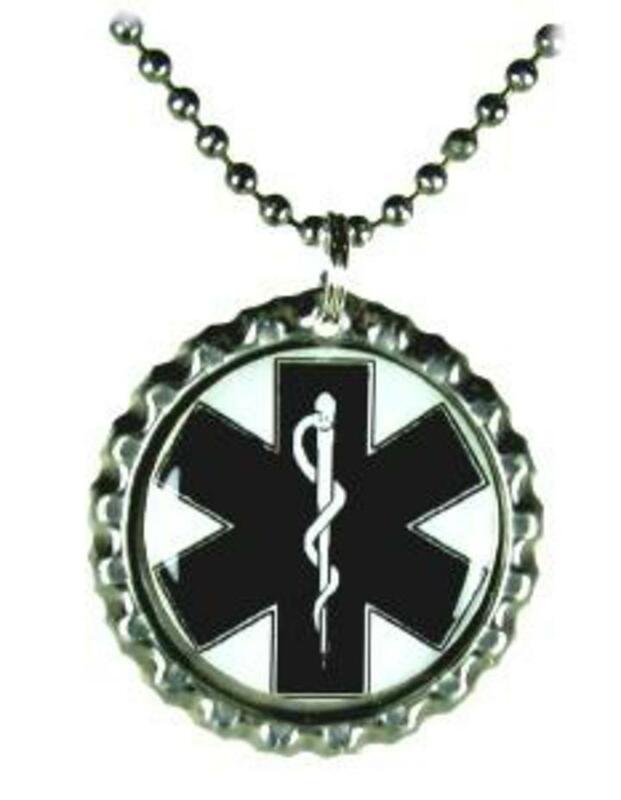 Our bottle cap medical jewelry is custom made and can be custom engraved with up to 4 lines of engraving at no extra charge. This measures about 1 1/4 inch round, has our bat man symbol and medical id alert symbol on it. Engraving is done on the back and comes with either a 24 inch stainless steel bead chain which you can cut to size or a lobster clasp. This can also be used as a zipper pull, attach it to a back pack also if selected with a lobster clasp.